“Jamiyah’s work is exemplary to the community,” said Her Excellency Ms Lynn McDonald, Canada’s High Commissioner to Singapore. H.E. Ms McDonald said both Singapore and Canada share lots of common characters such as multi-cultural and multi-faith, and can learn much from each other. “I hope to see a stronger relationship between both countries.” H.E. continued. H.E. 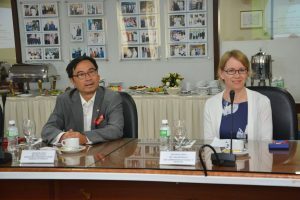 Ms McDonald was accompanied by His Excellency Mr Chia –yi Chua, Singapore`s Honorary Consul-General in Toronto, during her visit to Jamiyah on Tuesday 4 December 2018. 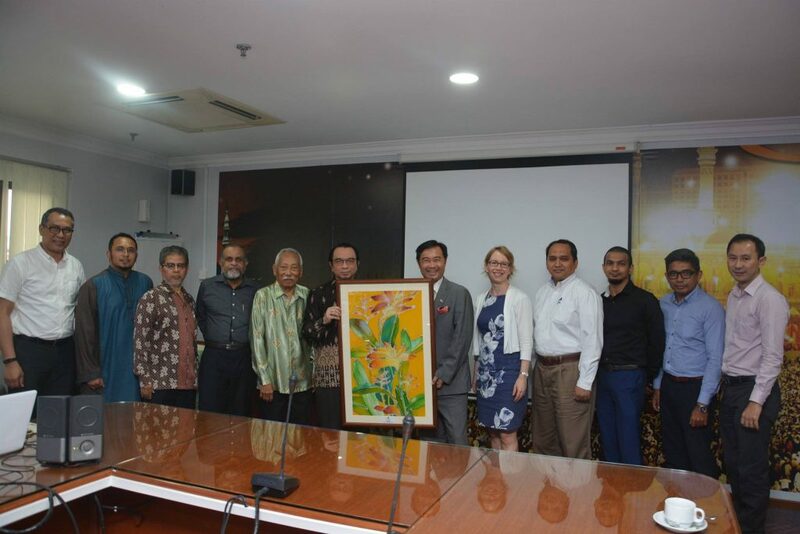 They were received and hosted to a short presentation about Jamiyah by Dr Mohd Hasbi Abu Bakar, President of Jamiyah, and Jamiyah’s management officials. Echoing H.E Ms McDonald’s views, H.E. Mr Chia said during his next trip to Singapore, he would like to bring his family to visit Jamiyah’s Foodbank, which is located in Tannery Lane.